More press news on the contents of the V&A's Vivien Leigh archive. Details of intimate letters from Larry revealed for the first time. Vale: Suzanne Farrington, Vivien's only child, who passed away this week. 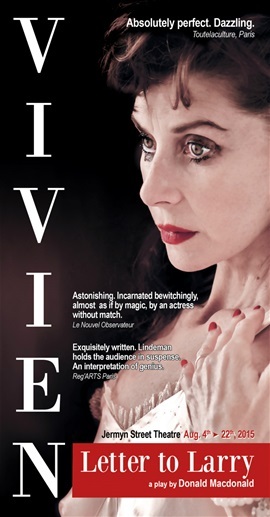 Exciting launch planned for the London season of the new VIVIEN:Letter to Larry. I'd like to be up-dated about Letter to Larry in London.